Increase your profits! Resell our hosting services under our brand - or yours. Cutting edge, reliable, and fast! Tier.Net provides Shared, Reseller, VPS, Dedicated and Colocation services at guaranteed competitive prices. Featuring an in-house staff, wholly owned network and hardware, and certified technicians available 24/7/365, we're ready to ensure your online venture is an outstanding success! 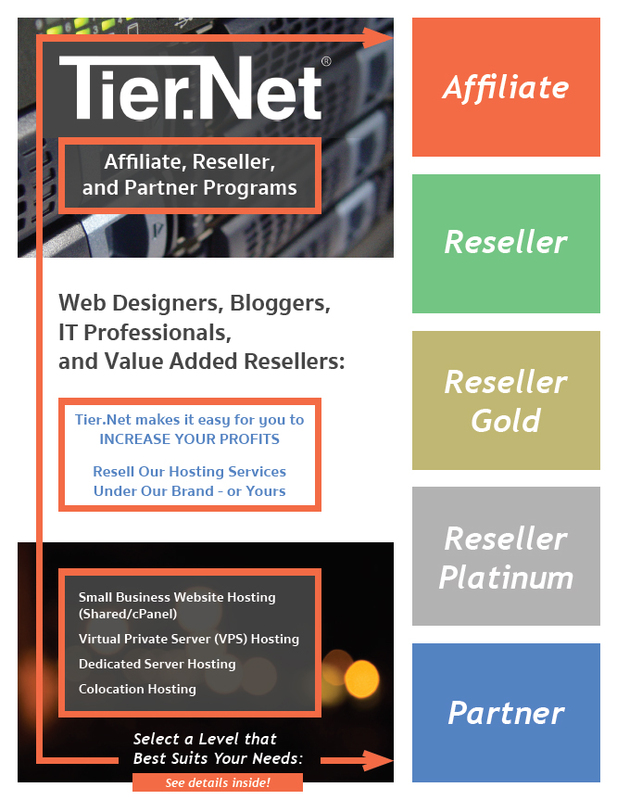 Tier.Net has many affiliate and reseller options for web professionals. From simply earning a referral fee by sending clients our way, to reselling hosting services under your brand, to operating a fully integrated turn-key site that's built for you, we give you the tools to increase profits for your Internet business.